HighQ is pleased to announce an innovative partnership with iDefendo, a unique event-logging tool specialising in services for intellectual property-intensive businesses. 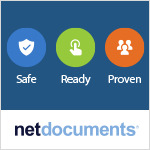 NetDocuments, the leading secure cloud-based content services platform for law firms, corporate legal teams and compliance departments, announced today, it acquired Closing Room, a deal management application developed by Chapman and Culter LLP to streamline transactional closing processes. Legal systems innovator Zylpha has launched an all new version of its widely acclaimed document bundling solution. Completely re-engineered from the ground up, the new solution is designed to deliver a modern best-practice legal document solution for lawyers everywhere. Bellefield Systems, the providers of the fastest path to revenue through its time entry solutions, continues to defend its title as the #1 mobile time entry platform solution for the sixth consecutive year, according to the 2018 International Legal Technology Association (ILTA) Survey of more than 500 law firms. Wolters Kluwer’s ELM Solutions announced the release of its Legal Holds module available through its Passport® and TyMetrix® 360° solutions. The Legal Holds module helps corporate legal and insurance claims departments streamline their legal holds workflow with an intuitive, and easy to use solution that automates the assignment, notification, and administration of custodian acknowledgements. Relativity today announced the launch of Relativity Trace, an application built on the Relativity platform that helps businesses operating in highly regulated industries to proactively monitor internal communications and flag the highest-risk content for further review. 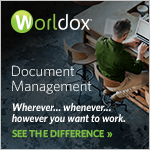 Mobile Helix, the makers of the LINK encrypted app for lawyers, will demonstrate their new integration with compareDocs from DocsCorp at the NetDocuments ndElevate 2018 Conference, in Park City, UT, November 4th – 8th. International law firm Bryan Cave Leighton Paisner (BCLP) has today launched Clear/Cut, an innovative dispute evaluation service developed by professional litigators and technologists to efficiently evaluate legal risks in the early stages of disputes and investigations. Thomson Reuters has just introduced its latest features on Westlaw Edge, adding Delaware Court of Chancery state court to its integrated Litigation Analytics and introducing Regulations Compare, a unique service that allows legal researchers to quickly understand how a federal regulation has changed over time. After a thorough search that produced several outstanding candidates, Aderant is pleased to announce that Steve Buko will be its new Senior Vice President and Chief Technology Officer, leading all product engineering.